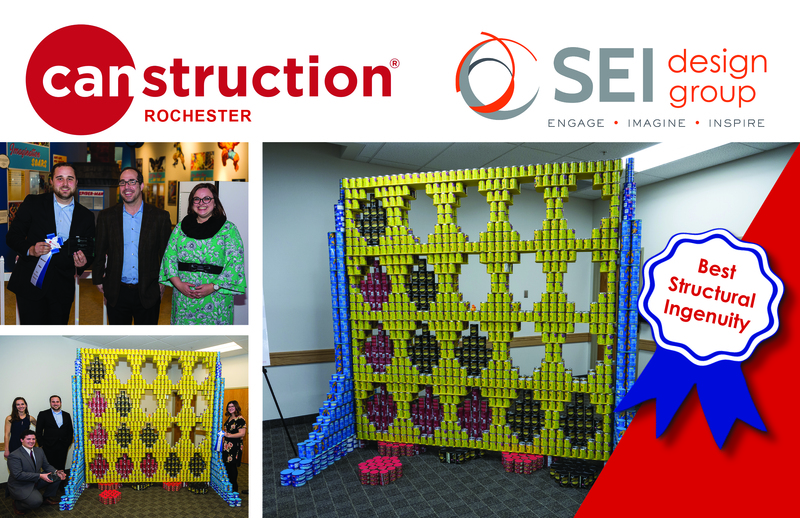 SEI competed in this year's 11th annual Canstruction Rochester Exhibition to benefit Foodlink! We were honored to receive the "Best Strucural Ingenuity" award for our "Cannect 4 A Well-Fed Future" structure. With over 2,000 canned foods in our design, we are grateful to have the opportunity to donate to Foodlink again this year. It was also fun to see other firms' structures: they will be available to view at the Strong Museum of Play through November 17th!